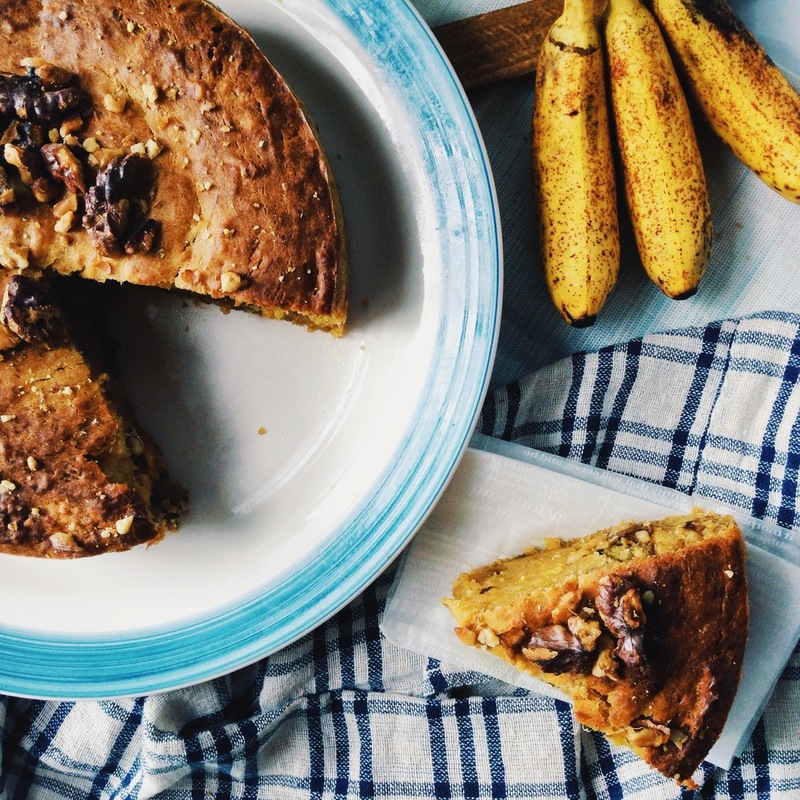 Tried to innovate and gave this classic banana bread recipe a slight twist to it. 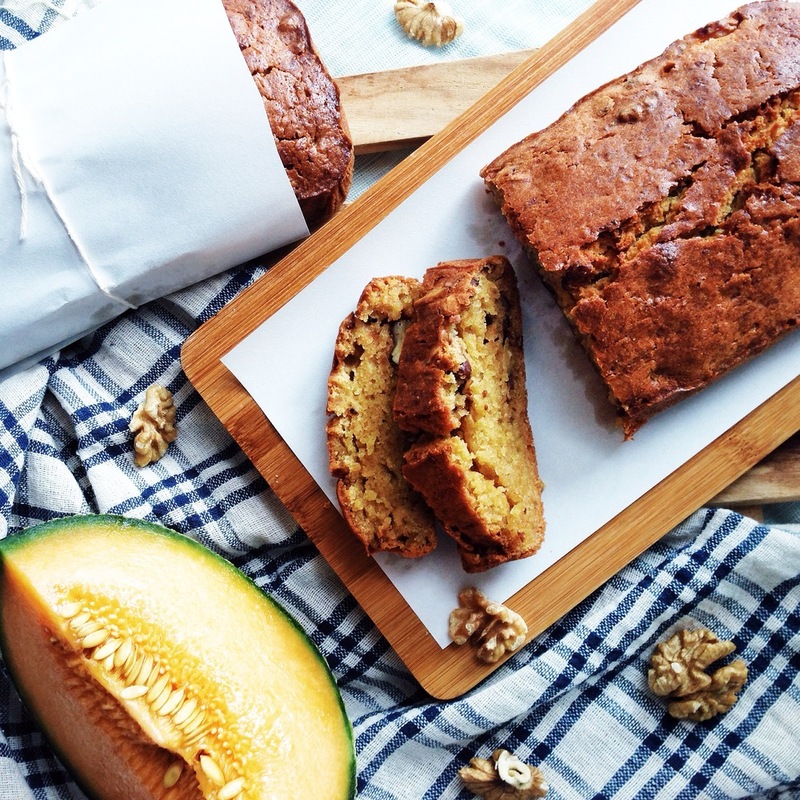 Initially I made rock melon bread using the banana bread way but realize the taste and flavor of the melon wasn't prominent enough even though the texture turn out well. That's when I thought its either I use a melon essence or use a stronger tasting fruit like mango or durian as a substitute. Over the weekend, I made a second batch with a combination of mangoes, bananas and walnut. Always make sure the fruits used are ripe/overripe so that the fragrance and sugar in the fruits will enhance throughout the baking process. Adding nuts in give the bread another layer of texture and flavor. One of the key factor in getting the bread moist and fluff is having the right amount of flour. Too much flour will cause the bread to be too dense, and too little of it will cause it to be mushy. I made the melon bread in a rectangular mold while the other in a circular mold. Have the fruits mashed in a separate bowl (do not over mashed), then transfer the puree to the bowl with butter sugar and whisk well to combine. Then whisk in the eggs to the mixture one at a time, at this point of time add in dash of milk and vanilla essence. After all is combined, its time to add in the dry ingredients and chopped walnuts to the wet mixture. I suggest adding in the dry ingredients by batches, so that you can judge visually whether there's too much or too little flour after mixing. 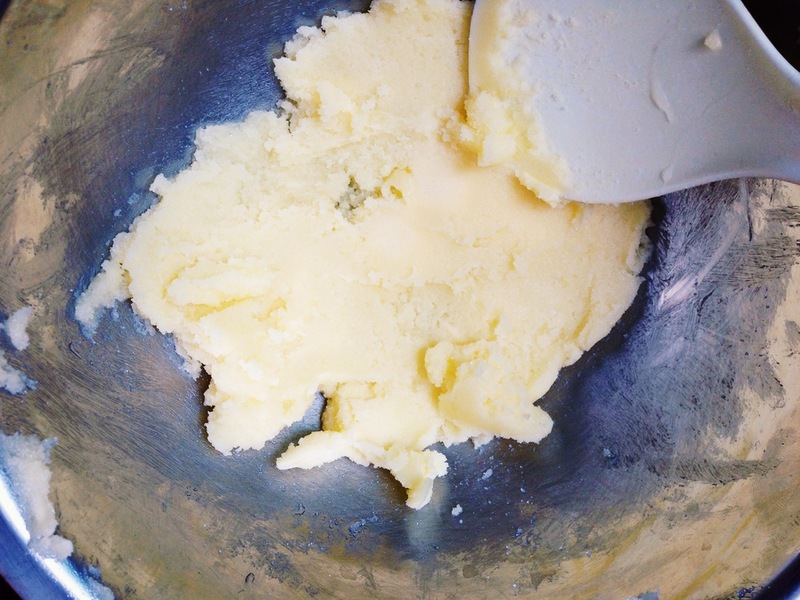 When mixing, use a spatula to fold in the flour instead of stirring vigorously. You do not want to overwork the flour as the gluten may cause the bread to turn hard. Transfer the batter into the mold (spray mold with oil or smeared it with butter) and baked in the oven 350F/150celsius for about an hour. Use a bamboo stick, poke through the center of the bread and pull it out. If it comes out clean the bread is done! Set aside to cool (about 10-20 mins) remove from mold. Cut and Serve!!! The very next time I'm baking this, I will like to try adding pistachios and substitute the fruits with durian. Its really amazing how well combination of different nuts and fruit bring the bread to a whole new level!